Arria is the leader in real-time data storytelling. Our core product is known as the Arria NLG Platform, a form of artificial intelligence software that specializes in extracting information from complex data sources and communicating that information in natural language. We configure the Platform for a wide range of client needs; and we also offer its technology as pre-packaged SaaS Products and as a Software Development Kits (SDK) via the NLG Cloud which has APIs that allow developers to add NLG functionality to their own applications. 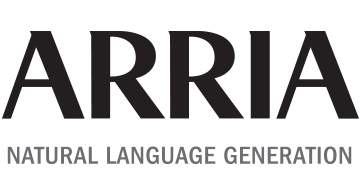 Arria NLG has a partnership with IBM Watson, using Watson’s question-answering functionality to incorporate compliance insights into data-driven reporting. Arria NLG also has a partnership with Genpact, whose Lean Digital products help companies automate finance operations like credit reporting and financial planning and analysis (FP&A). Their combined solution will allow companies to automate complex business processing and automatically generate affiliated finance and compliance reports.